Today, the Museum of London has a new exhibition, celebrating the 200th anniversary of the birth of London's most famous writers, and the man who seems to have visited more pubs than any other Londoner, Charles Dickens. Telling the story of the great man through artefacts, pictures and manuscripts, it promises to offer an insight on the 19th century city, and Dickens experiences, showing from now until next summer. Not more pubs than you surely! 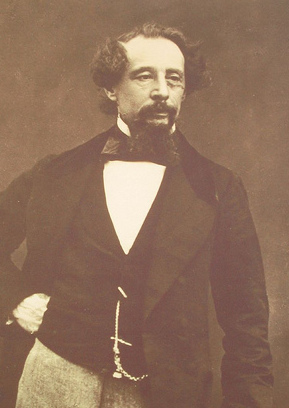 Dickens 2012 will be huge, given that it is the bicentenary of Charles Dickens’ birth. I was already blogging about the Broadstairs museum, with its planned programme of lectures and special Dickens exhibitions. Now I would like to add a link to your Museum of London activities.